On the First Floor in the hayloft. It is approximately 58mq. wide. Situated on the first floor. 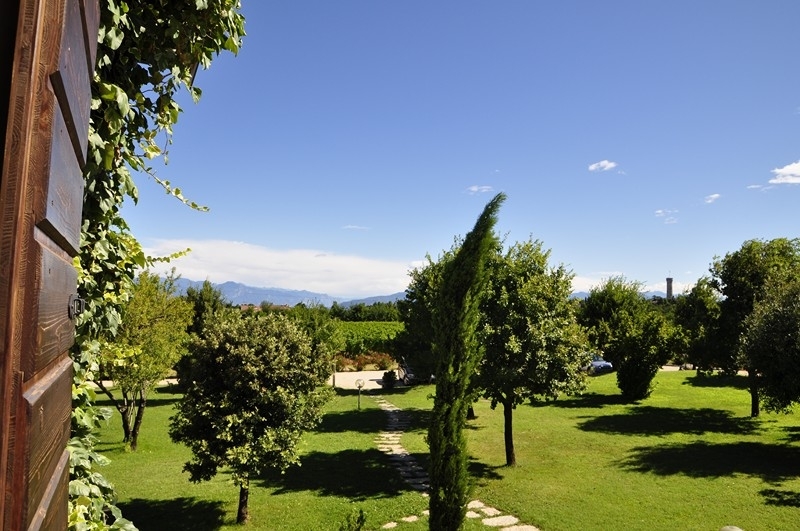 It has a spacious and light north facing open plan living room/kitchen, which look out onto the garden and vineyards. When the weather is good you can also see the lake. In the living room, there is adouble sofa bed and a single sofa bed suitable for kids until 12 years. There is a small area leading to the bathroom, a large bathroom with bath and a lovely light north east facing bedroom which looks out onto the garden.